Here are top selected products for "Split AC"
Split AC - Air conditioners have made life easier by offering respite from outside heat and the humidity. 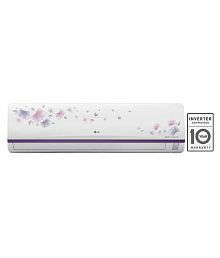 Snapdeal brings you a wide range of the advanced split air conditioners from a number of reputed brands like Voltas, Bluestar, Whirlpool, Hitachi, Godrej, LG, Panasonic, Onida, Voltas, Vestar, Daikin, Carrier, Samsung and more. You also have other useful products like remote controls, AC covers etc. for your AC at home. 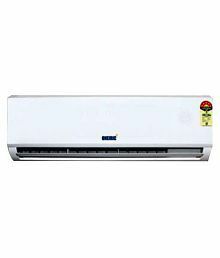 You will find here various split air conditioner models for homes and workplaces. Regulate the temperature of any room and relax. All the models can be easily installed. Equipped with compatible remote controls, they are easy to operate. 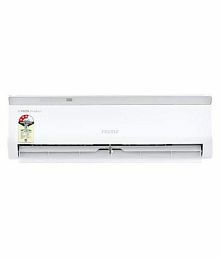 There are also a number of useful inverter air conditioners to choose from. One of the primary advantages of split air conditioners is that they are ergonomically designed to fit in without occupying a lot of space. Simply get the indoor unit installed on the desired wall and cool down. There are air conditioners in various designs so that you can get a model coordinated with your home decor. Feel free to choose among the classic shade of white or vibrant colours like wine red or violet, if you want to jazz it up. With the capacity ranging from 0.75 to 4.5 tons, it will not be difficult to find the suitable model that fits the dimension of the room you have in mind. You can opt for a 1 Ton split AC, a 1.5 Ton split AC or a 2 Ton split AC. These air conditioners are equipped with advanced features like automatic operations, sleep modes, anti-bacterial properties, auto filter cleaning technology, noise free operation, and many others. Moreover, these are energy efficient appliances that do not raise your electricity bill. The split AC price range is what makes it lucrative. With so many options at your disposal, you can prepare yourself to be spoilt for choice. The brands also offer you manufacturer's warranty on the products so that you need not worry about after-sales support. Buy split air conditioners and get extra discounts & offers online at Snapdeal right away. What is the Price of 1.5 Ton Split AC? 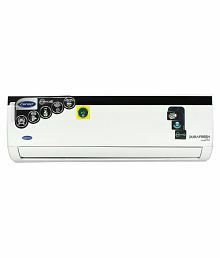 Check the price list of best 1.5 ton split air conditioners online on Snapdeal.